Now I’m going to put the outside part of the door — just the vertical pieces — on the outside of the house, and the inside part of the door — the Z part — on the inside of the house, with a painted door behind it. That will give it the right depth, and make it look like you’re seeing the inside and outside depending on which side you’re looking from. 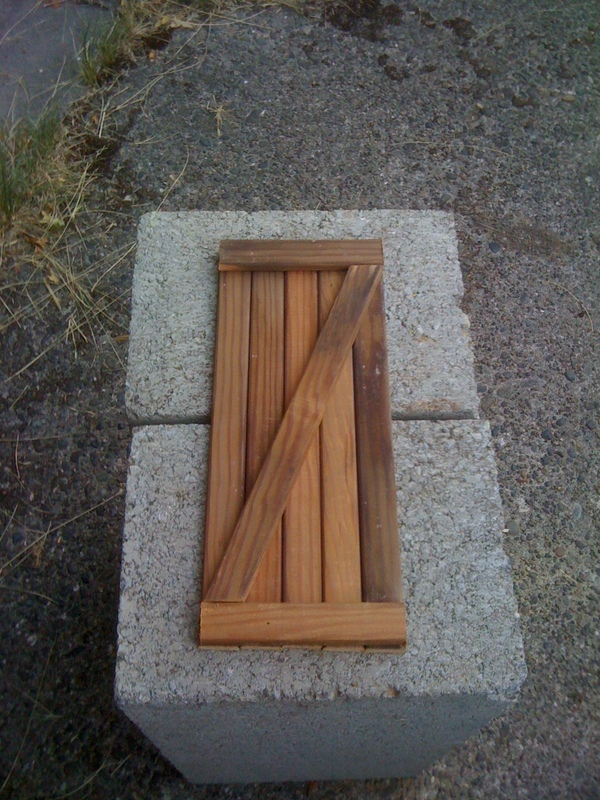 Now I just have to make a little handle and figure out some sort of painted-on or mini hinges. Exciting! Next Next post: And also a chimney!